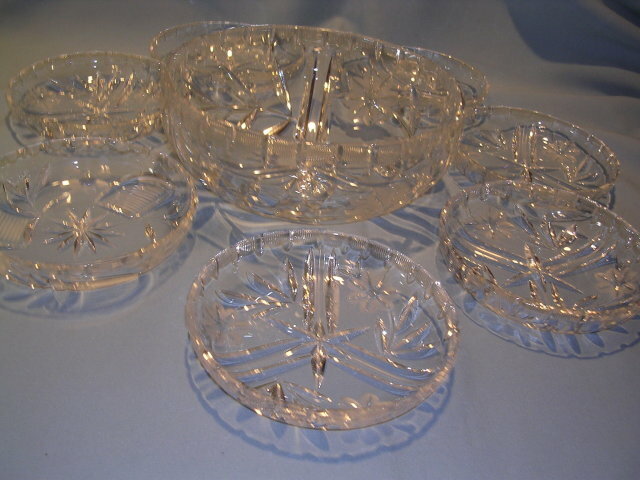 Gorgeous vintage lead crystal 8 piece Salad Bowl Set with etched deep cut flowers, leaves and ribbed thumbprint edges. The set features a large deep salad bowl that measures just over 3 inches high and 8 inches across the master bowl. 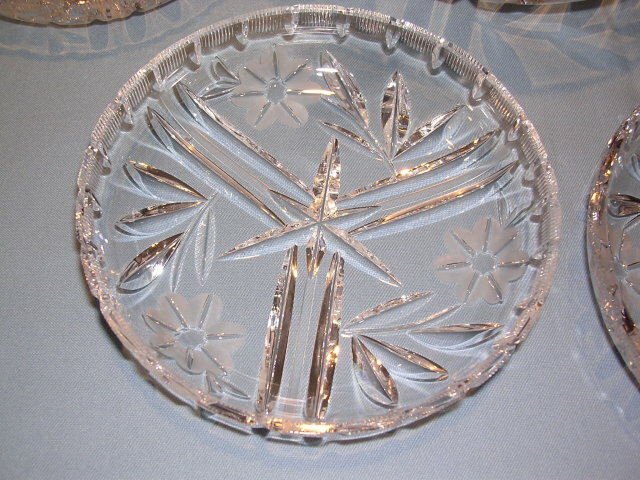 Each of the matching individual salad serving dishes measures over 5 1/2 inches across and features the same beautiful design as the master bowl. There are seven (7) individual dishes. 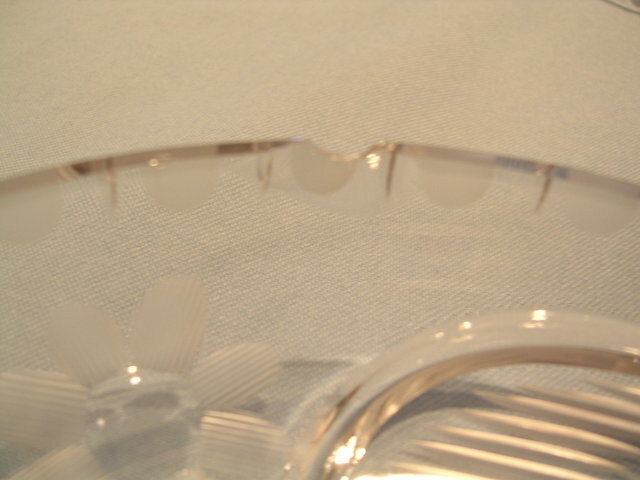 One of them has a rim chip (as pictured) but is still very serviceable and shows great. All other bowls are in pristine condition with no chips, cracks, scratches or repairs.The set has no utensil marks. The pictures simply do not do this set justice. 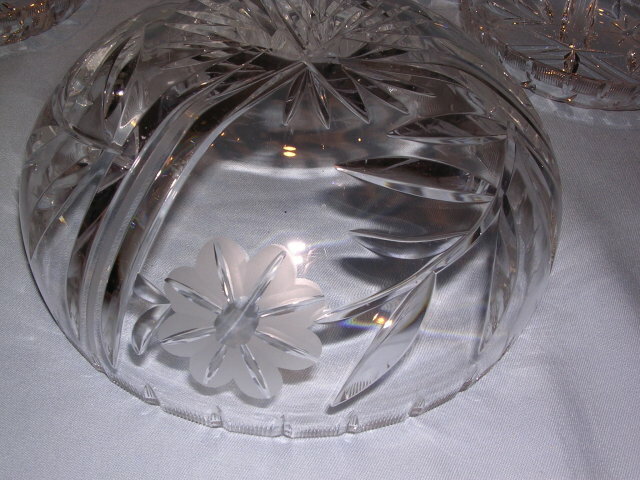 Items Similar To "BEAUTIFUL VINTAGE LEAD CRYSTAL FLORAL ETCHED 8 PIECE SALAD BOWL S..."